Announcement Welcome to my shop! I appreciate your interest and hope that y’all will enjoy my turnings. 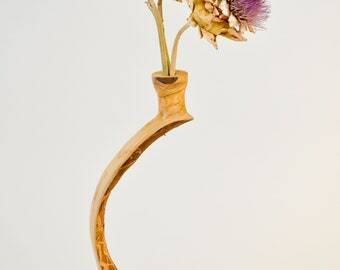 I specialize in handmade traditional, natural edge and wavy bowls, twig pots (vases) and various seasonal items. Welcome to my shop! I appreciate your interest and hope that y’all will enjoy my turnings. 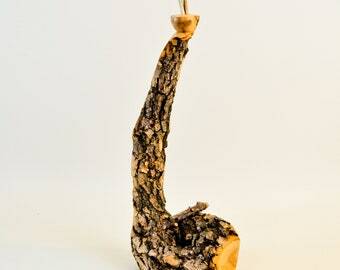 I specialize in handmade traditional, natural edge and wavy bowls, twig pots (vases) and various seasonal items. 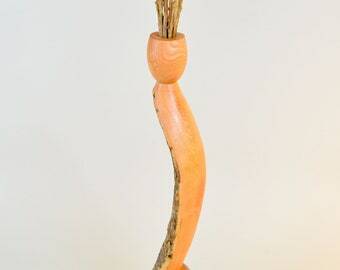 Peach Barely There Wood Twig Pot / Vase - 15"h x 6.5"w.
This is a very beautiful plum bowl. Wonderful contrasting color. Owner sent the bowl right away and was helpful with questions. This piece is as stunning in person as it appeared in the photos. The artist's account of what it was like to make it, the process, and his sentiments were compelling and drew me in. It was very well packaged and shipped promptly. With appreciation, I love it. 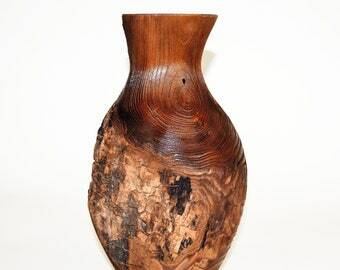 This wooden vase is absolutely fantastic! Absolutely beautiful with simplistic elegance. Paul is very talented, as well as extremely helpful and patient when I contacted him regarding what the name of the plant is displayed in his photos (Golden Raintree pods). 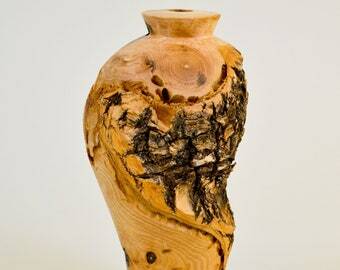 This wooden vase is absolutely fantastic! Absolutely beautiful with simplistic elegance. 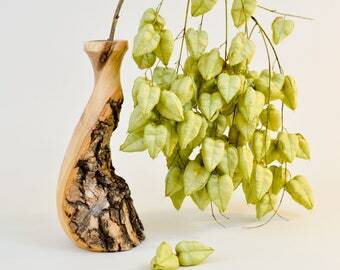 Paul is very talented, as well as extremely helpful and patient when I contacted him regarding what the name of the plant is displayed in his photos (Golden Rain Tree pods). 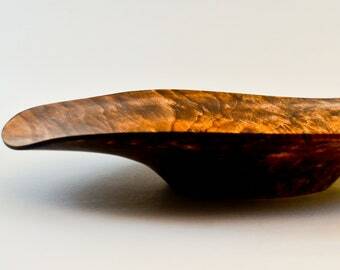 Honey Locust Burl nested bowl set - a recently commissioned piece for a customer in Florida. Exceptional wood. The illusion is that the piece is barely there. If the piece was solid, the form would reveal a perfect vase shape. Turning bowls from a single pieces of wood - must be turned twice. This is the rough-out - for drying. Figured poplar. Processing logs, cutting bowl blanks. I start with the log, and cut into dimensional bowl blanks. Video summary: Shavings flying while roughing-out a large bowl. I turn wood into cool stuff. My works are inspired by life’s simplicity, its patterns, and the beauty and form of God’s creation. Wood is a perfect medium that gives and takes with beauty in its perfect grain or simple defects. Some my favorite woods are those where the tree has been crushed by the forces of nature, or diseased wood that the tree is fighting to cure. These result in highly figured wood that provides amazing colors, patterns and swirls. 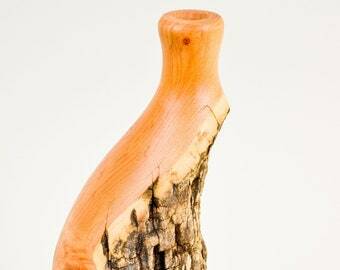 Turnings are created from a single block of wood reclaimed from construction sites, tree cutters, neighbors, and friends. My children have affectionately named my shop The Pop Shop. This cramped, dimly lit building is where I spend my off-work hours scheming on the next masterpiece. Each work is unique. 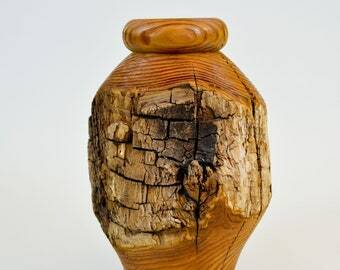 The variety of turnings include: large rustic bowls, rimmed bowls, stacking boxes, lidded boxes, platters, twig pots, pendants, and various other child friendly pieces. 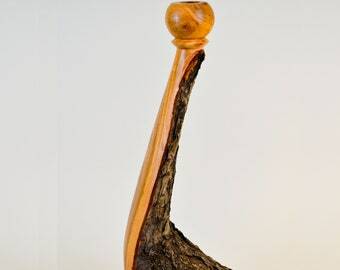 Paul Russell is a passionate woodturner of over 30 years. A native of California, a transplant to Utah. 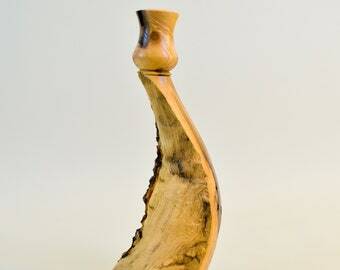 Paul has mastered the techniques of green wood turning to create gallery quality turnings from reclaimed local woods.